Every project should do effect mapping. I’m doing an effect map for my iPhone Poker App! At inUse we use a method called Effect Mapping to determine how we will be able to achieve the desired business goals in a project. I am applying a light version of this for my iPhone Poker App project. I am going to put down a couple of measure points so I can see if the project has been successful or not. The poker pro: a player who wants to be recognized as a great poker player. The social player: a player who enjoy playing poker while having a good time with friends. 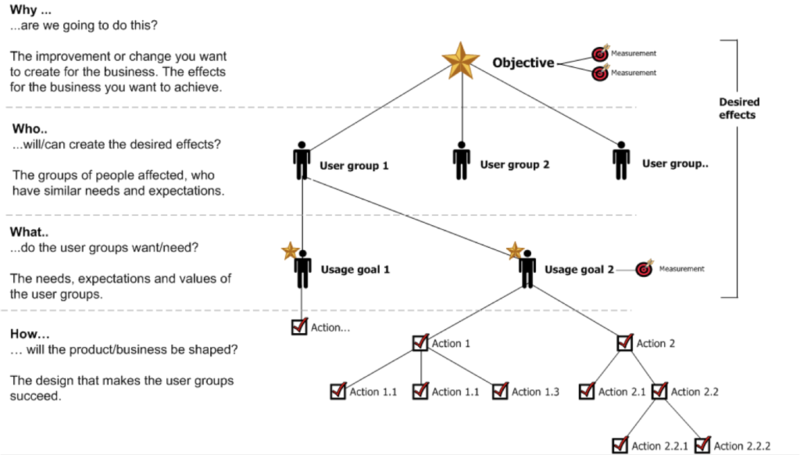 Doing an effect map in the beginning of a project will make it easier to focus on the important things and also prioritize features. Don’t put a feature in your product just because you can, do it because your user groups want it! ps. If you want to know more about Effect Mapping then send me an e-mail and I’ll get you in contact with the right person at inUse ds.